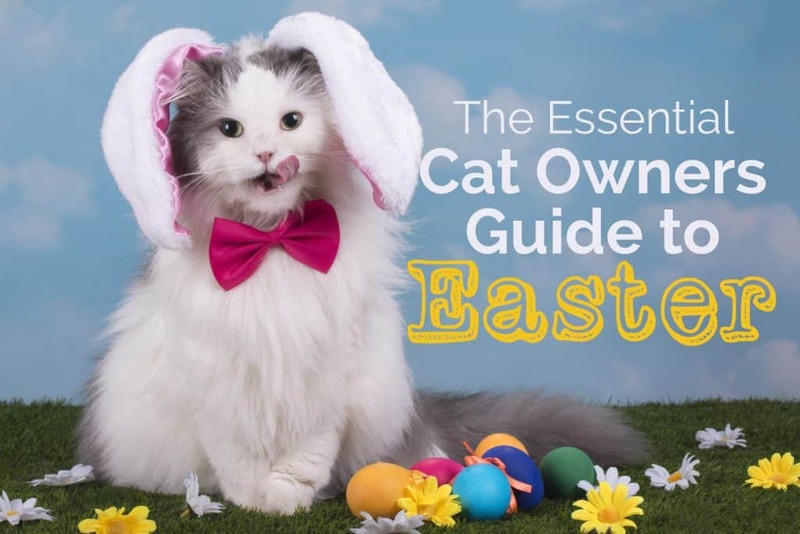 Easter can be a fun holiday for your entire family and of course that includes the cat, too! However, because there are a few extra potential hazards and likely sources of stress for our four-legged best friends during this festive day, it’s important that you keep them safe. • Watch out for lilies. Use extreme caution when bringing flowers, bouquets, and new plants into your cat-friendly household. 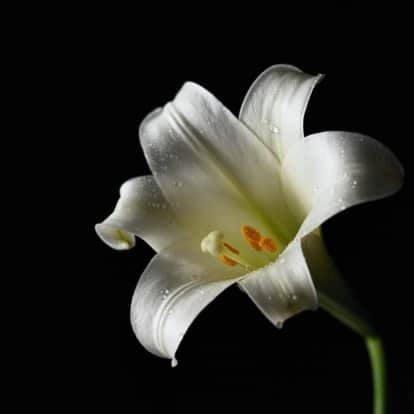 Easter lilies are extremely poisonous to cats, and just 1-2 leaves (or even the pollen) can kill a cat! Even the smallest amount ingested can result in severe kidney failure. Instead, opt to decorate with silk flowers and only use cat-safe plants in your home. • Keep chocolate bunnies out of reach. Most cats don’t have a sweet tooth, but keep kitty away from chocolates, especially dark chocolate. These delights contain theobromine which, although harmless to humans, can be lethal to your cat, resulting in increased heart rate, shaking, seizure, and death. • Avoid grapes and raisins. Health conscious parents often fill plastic eggs with grapes or raisins in place of candies. Although it isn’t clear why, grapes and raisins can cause kidney failure in cats. If you keep grapes or raisins in your home, make sure they’re out of reach of nosy kitties. • Beware of candy and gum. Candy is a staple in kids’ Easter baskets. Many candies and sugar-free gum are sweetened with xylitol – which is highly toxic to dogs and may also be toxic to cats. • Include your cat in this special day. 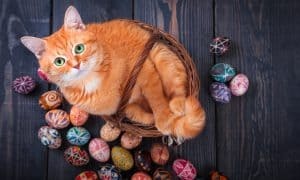 If you have kids and surprise them with Easter baskets on Sunday morning, surprise your cat with an Easter surprise, too! She’ll love being included in the fun and, having her own basket of cat-safe toys and treats will keep her occupied and out of your kids’ unsafe goodies. 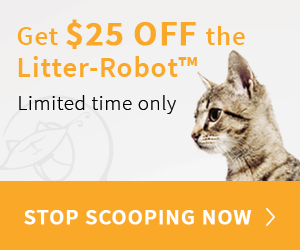 • Don’t leave harmful objects in your cat’s reach. 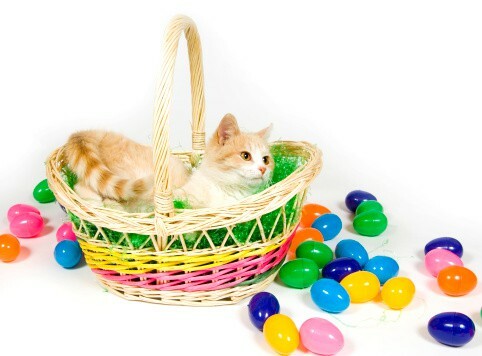 Put away candy foil wrappers, electric cords, and keep Easter displays and baskets beyond your pet’s reach. While the shiny candy wrappers can cause various intestinal problems, electrical cords, when chewed on, can deliver fatal electric shock. 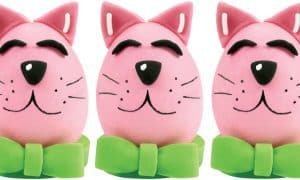 The plastic “grass” used to fluff up Easter baskets may look like fun to a cat, but can cause serious problems, like intestinal blockage, if ingested. Instead of filling a basket with plastic grass, consider using shredded paper. • Don’t forget where you hid the Easter eggs. Keep a list of where you hide your eggs. When the egg hunt is over, take a quick count to make sure everything has been found, particularly in and around the yard. While the thought of gobbling up an old hard-boiled egg after it’s been hidden outside for a few days is enough to turn our stomachs, your pets might think they’ve hit the lottery! Besides causing an upset stomach and intestinal distress, rotten eggs can cause dangerous food poisoning and a hefty vet bill. 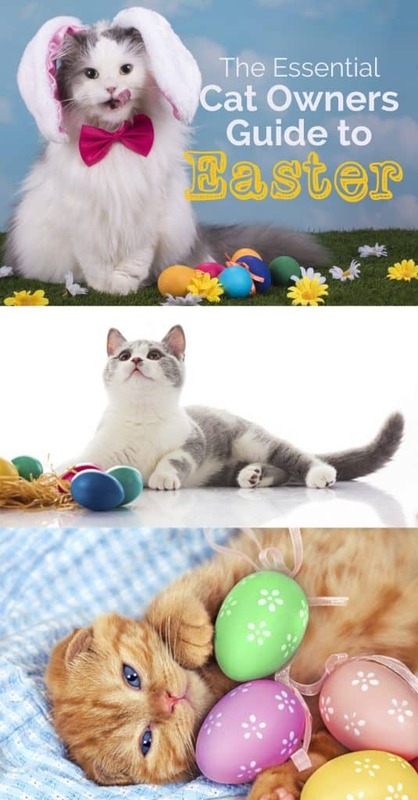 • Don’t share your Easter dinner with the cat. 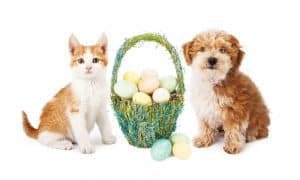 Traditional Easter dinners often include dishes like ham, chicken, turkey, or lamb and a variety of side dishes, casseroles, and desserts that may contain ingredients (like onions, sage, grapes/raisins, nuts, chocolate, and more) that are dangerous for your furkids. The day following big holiday meals, like those served on Thanksgiving and Easter, are the busiest days of the years for veterinarians dealing with pets that have eaten cooked bones, cats with pancreatitis from eating too many fatty foods, poisoning by unsafe ingredients, and general upset stomach. 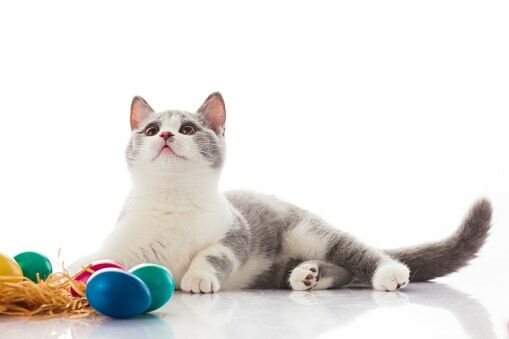 If you want to do a little something special for your kitty, try a new Easter-themed toy or a special canned food treat instead of a dish from the dinner table. Do you have any important Easter safety tips to add? Tell us!